It seems like Lenovo will release a couple of new android tablets at Mobile World Congress this year. One of the new ones will be the Lenovo Tab3 10 Plus that has been leaked by a couple of Russian shops and that also appeared on Amazon Germany recently. In Europe it is expected to hit the market on February 13th starting at 179 Euros. That’s just under 200 US Dollars. 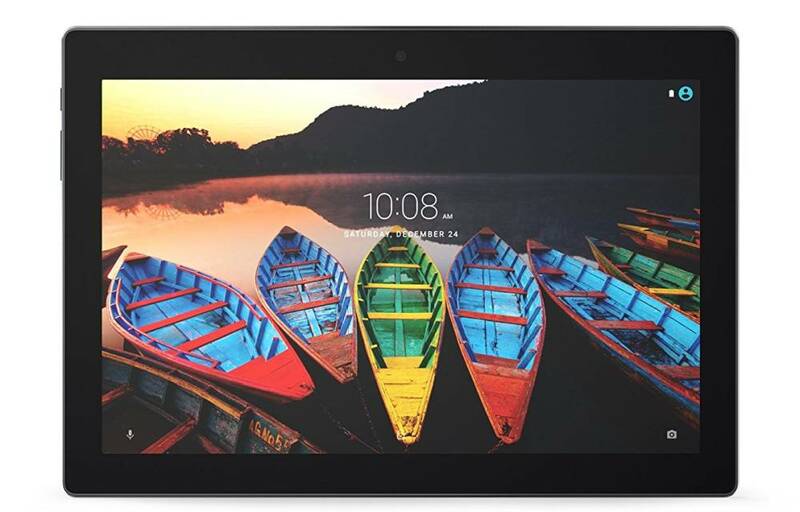 While the name Lenovo Tab3 10 Plus is certainly new, the tablet itself is not. It seems like it is just a slightly different version of the Lenovo Tab3 10 Business that was launched almost a year ago. The business version is more expensive though starting at 249.99 US Dollars. So what do we lose with the much cheaper plus version? As far as I can see from the specs that are published on Amazon Germany only the internal storage has changed. While we were getting 32GB with the business version the plus one comes with 16GB internal storage only. Everything else is the same including the 1.3GHz MediaTek SoC and 2GB of RAM. The 10.1 inch display still has a full hd resolution with 1920 x 1200. That’s actually quite nice because except for the Samsung Galaxy Tab A 10.1 there are not a lot of decent 10 inch tablets with full hd displays out there. There’s the Acer Iconia Tab 10 A3-A40 but that one has a pretty poor build quality in my opinion. Other features of the Lenovo Tab3 10 Plus are 8 and 5 megapixel cameras as well as a battery that’s quite big with 7000mAh. According to Lenovo the battery should last up to 15 hours. Even if it would be around 10 hours in real life usage that would be quite impressive for a sub 200 Dollar tablet. There’s a micro sd card slot as well. It seems like Lenovo will also release a Tab3 8 Plus at Mobile World Congress which starts on February 27th. There’s a Lenovo Tab3 7 Plus as well which has been available in some markets for a couple of month already.